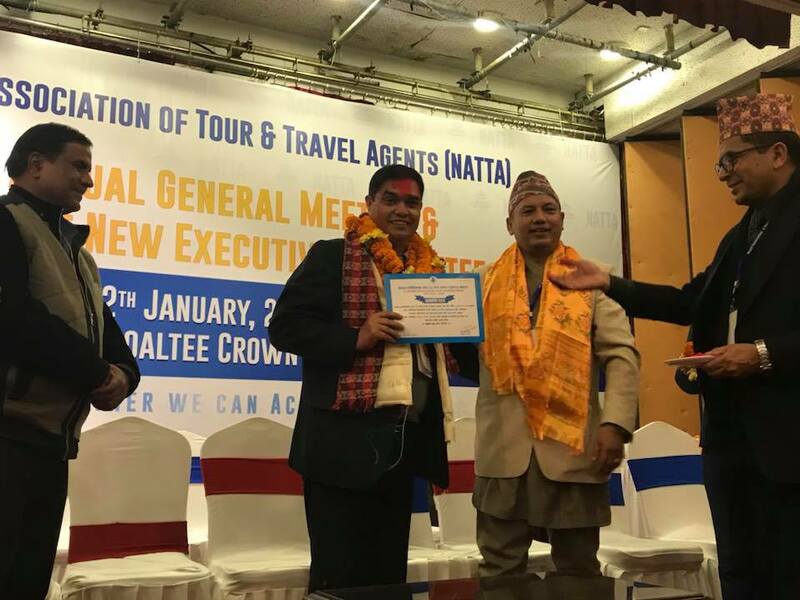 CN Pandey has been elected to the post of president of Nepal Association of Tour and Travels Agents (NATTA). At the election for the new executive committee held in Kathmandu on Friday, Pandey won by six votes. Pandey bagged 212 votes out of 420, while his rival Dipendra Kumar Sharma got only 206 votes. Similarly, Achyut Guragain and Sangita Jirel have been elected first vice president and second vice president, respectively, while Ramesh Thapa has been elected general secretary. Likewise, Sabita Bhattarai has been elected secretary, Ram Prashad Shrestha treasurer, and Surendra Bhattarai assistant treasurer. 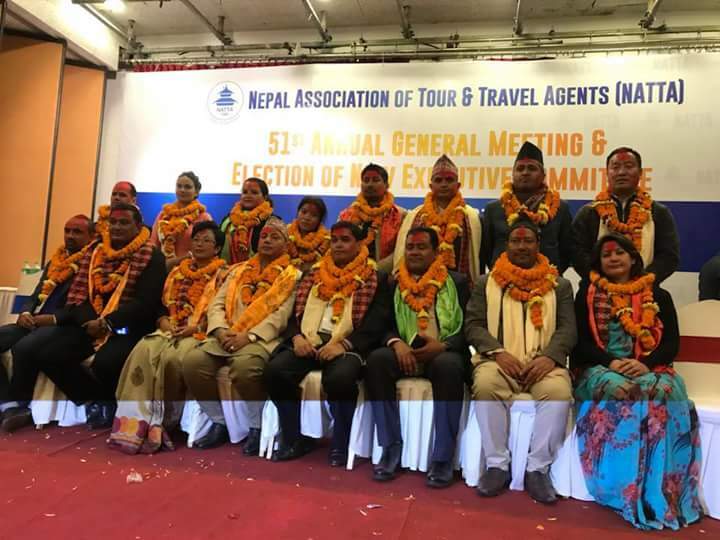 Shudarshan Nepal, Debaki Gurung, Phuri Gyaljen Sherpa, Amrit Kumar Dhakal, Ramesh Poudel, Raju Dhakal, Inu Thapa, Gita Dhakal have been elected members of the executive committee. The committee will have tenure of two years. NATTA is an umbrella organization of tour and travel agents that was established in 1966 in order to regulate the travel industry of the country. Tagged CN Pandey, NATTA Team 2018, NATTA team election 2018, President of NATTA. Bookmark the permalink. It is my immense pleasure to introduce our self as a tour, trekking & expedition operator in Nepal, Tibet, Kailash, Bhutan, & India. We are very proud that we have excellent reputation in the market for quality services in very competitive prices. The company has won numerous awards from various organizations for its contributions and achievements. We are members of the following travel associations: IATA (International Air Transport Association) NATTA (Nepal Association of Tours & Travel Agents), UFTAA (Universal Federation of Travel Agent's Association) TAAN (Trekking Agents Associations of Nepal) and NMA (Nepal Mountaineering Association), ASTA (American Society of Travel Agents), SKAL (Skal international Association of Travel and Tourism Prefessionals), PATA (Pacific Asia Travel Association). Samrat Group Blog | Powered by Mantra & WordPress.